Relax at the consistently enjoyable Microtel Inn and Suites by Wyndham Amarillo conveniently located off Interstate 40 near downtown Amarillo, Amarillo Civic Center, exotic animals at Amarillo Zoo, rodeos and concerts at Amarillo National Center, as well as mini-golf, roller-coasters, and river rafting at Wonderland Park. Golfing at Comanche Trail Golf Complex, and water rides at Splash Amarillo are both short drives from the hotel. Ideal for business and leisure, this hotel offers complimentary continental breakfast, complimentary wireless Internet access to email the office or keep in touch with family, guest laundry facility, and complimentary parking for vehicle of all sizes. Relax in the heated indoor pool and recharge in the exercise room. Guest room amenities include a cozy window seat, queen bed, desk, TV and complimentary newspaper. 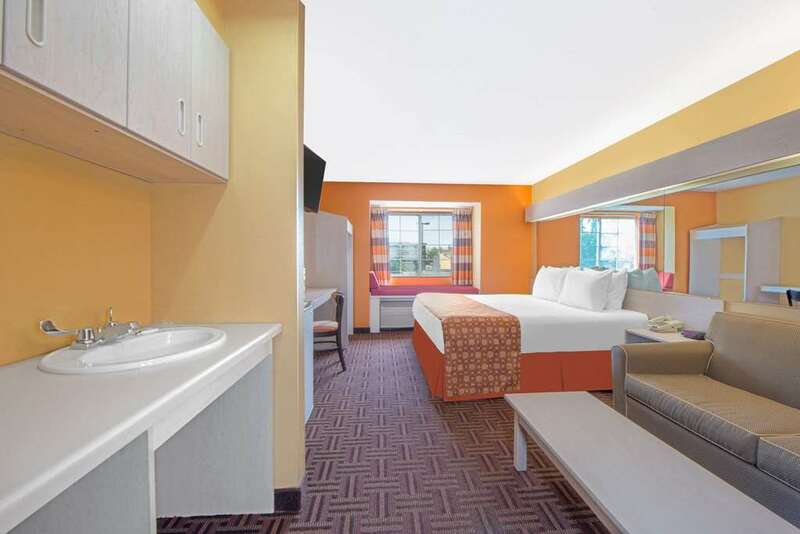 Hot tub suites, smoke-free and handicapped-accessible rooms are also available. Pets are welcome at this lodging.